Walmart and Chinese e-commerce giant JD.com are investing $500 million in Dada-JD Daojia, a Chinese online grocery delivery company, reports CNBC. The big picture: American companies have had varied success in the Chinese market, which favors its domestic champions, but some U.S. firms are increasing their presence there by teaming up with established Chinese companies. Google has invested $550 million in JD — and now Walmart is expanding its partnership with the company as well. Though the Chinese e-commerce business has exploded in recent years, the majority of consumers there still shop in stores. China's retail giants are putting money toward blending brick-and-mortar and e-commerce experiences by opening smart stores and offering super-fast grocery delivery. Walmart and JD first partnered in 2016 on delivery, CNBC reports. Dada-JD Daojia was formed in 2016 when JD Daojia, JD.com's app to order groceries delivered in under 30 minutes, merged with Dada Nexus, a crowd-sourced platform that supplies the people and scooters necessary to complete deliveries. Worth noting: JD is Alibaba's most serious competitor in China, and both are picking up partnerships with iconic American brands. 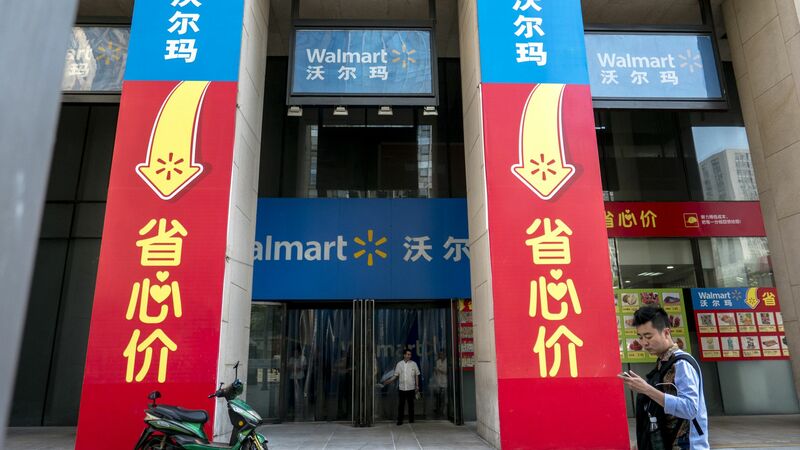 News of JD's new deal with Walmart comes a week after Alibaba announced a delivery partnership with Starbucks.